Today, even movie buffs might not recognize the name Colleen Moore, but during the 20s and 30s she was one of Hollywood’s biggest stars. Starting her acting career at age 15, Moore rubbed elbows with stars of Hollywood’s golden age, including Tom Mix and D.W. Griffith. Her bob hairdo helped to popularize the “flapper” style, and she made a small fortune from her films. But oddly, these days Moore isn’t best-known for her acting. Most of her biggest films have been lost to time, while another one of her creations has been carefully preserved. If you visit Chicago’s Museum of Science and Industry, you can visit Moore’s luxury mansion – but don’t expect to take a tour. 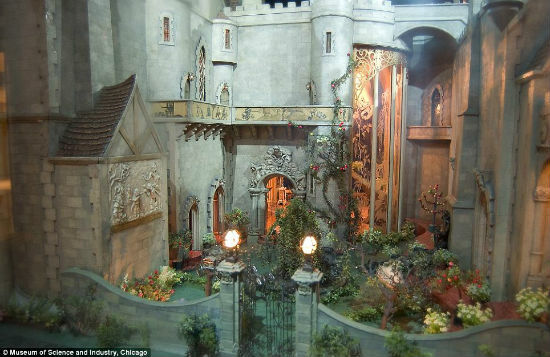 Moore’s one of a kind dollhouse, sometimes called the “Fairy Castle” is a mini-mansion that every little girls would dream of owning. Even Barbie’s Dream House can’t measure up to this 9 square foot luxury home, which features over 1,500 pieces of miniature furniture. 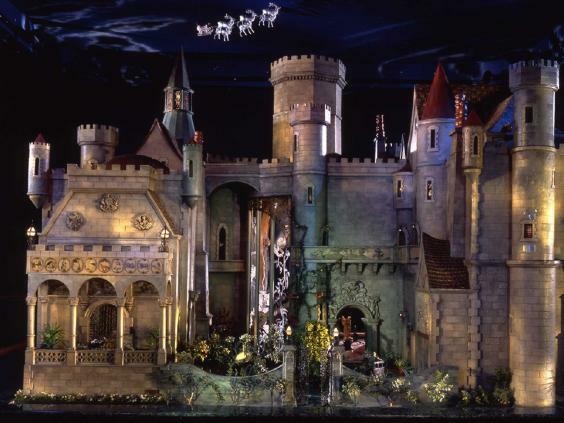 The model took 7 years to build, along with the help of more than 100 artists and Hollywood set designer Harold Grieve. It looks exquisite, and it should – it cost $50,000 to build when it was made in the 20s and 30s, which is equivalent to $7 million in today’s money. But a few special pieces mean this home is worth every penny. Click the next page for more photos of the Fairy Castle, and to learn how it’s connected to Walt Disney! Designing, building and decorating dollhouses was a lifelong passion for Moore, and you can tell from her attention to fine details in this masterpiece. Along with chairs, tables, pianos and staircases, the house features bearskin rugs and paintings on the wall – some of which were drawn by Walt Disney himself. 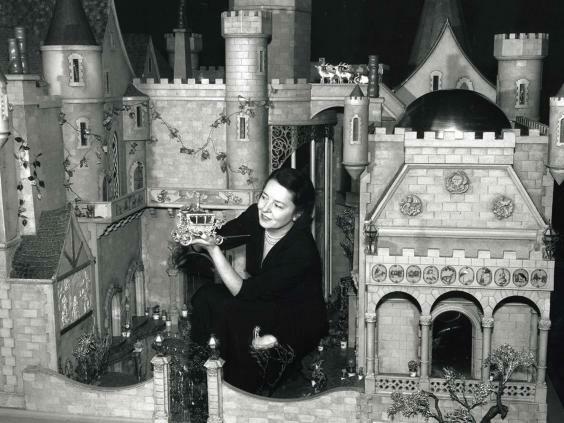 While it may seem luxurious to build a dollhouse with a chandelier made from real jewels during the Great Depression, Moore used her creation for a good cause. The dollhouse toured the country, appearing in toy stores to raise money for children’s charities. By the tour’s end it had raised more than $650,000. Sharp-eyed visitors to the MSI will spot a few very special artifacts spread throughout the house. The world’s smallest bible is kept in the Fairy Castle, along with a replica of King Arthur’s round table and some ancient Egyptian statues. If you want to see the castle up close, it’s on display year-round. It’s definitely impressive when you know that Moore built her first dollhouse from an old cigar box!